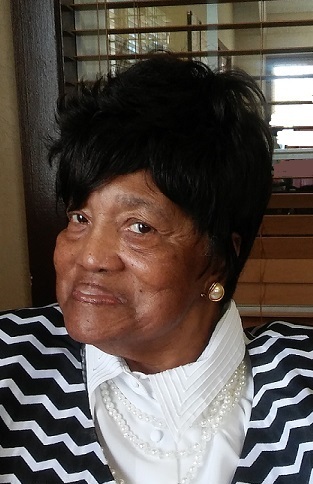 Obituary for Minnie Lee Montgomery | House of Wheat Funeral Home, Inc.
Montgomery, Minnie Lee, age 86, born August 22, 1932 in Lauderdale County Mississippi, passed away January 14, 2019. Minnie was a devoted Christian throughout her life, a loving mother and grandmother. Preceded in death by her parents, Roy and Minnie McElroy Blanks; husbands, Hiram Montgomery Jr., and William C. Gregory; brothers, Clifton Sr., Wadie, Nathaniel Sr., Leo, George, John L. and Ray Sr. Blanks; sisters, Marie Baylor and Vida Mae Walton; daughters, Diane L. Clement, Mary H. Harris. She leaves to cherish her memory her sons, Clifton E., Jerome D. and David L. Montgomery; daughters, Shirley D. Montgomery, Cynthia M. McGrath; devoted sons-in-law, Robert L. Harris, Mark A. McGrath; sister, Peggy Hopper; sisters-in-law; Katie Ruth and Mary Montgomery, Laverne and Mary Blanks; brothers-in-law, Matthew and Charles Montgomery; 21 grandchildren (3 deceased); 24 great grandchildren; 19 great-great grandchildren; a host of nieces and nephews. Funeral service 12 noon Tuesday, January 22, 2019 at Tabernacle Baptist Church, 380 S. Broadway St. Visitation 10 am-12 pm. Family will receive friends 11 am-12 pm. Arrangements entrusted to House of Wheat Funeral Home, Inc.